For years, content marketing has battled for its place in the world of digital marketing. If you’re not convinced of its worth, READ OUR POST. Ah, content marketing. No one, except for those working in it, knows how to explain their role when asked. Clients, friends, family, pets – no one seems to understand what it actually is. More importantly, not many people realise the true value of content marketing. Well, the Revive team wants to remedy this. Why? Because content marketing is a lot more important that you think (plus our content marketing team are tired of having to explain their worth…) And, if you’re not investing in it then you should be. Welcome back to Revive’s blog, and in this post, we’re going to explain to you all about content marketing. From what content marketing is, to why you need it and how the whole content process works. So, get ready to read the word content a lot of times! Find out all about content marketing, right here. If you’re looking for an example of content marketing, you’re reading one… Yes, content can take on the form of blogs, articles, videos, infographics and podcasts too. There are so many different forms of content, but these are the ‘main’ ones. Content marketing in itself is more about creating enriching, valuable, informative and engaging content for users. It’s an indirect form of marketing and isn’t necessarily aimed at promoting a product/service directly. The goal is to generate brand and product interest, as well as grow brand loyalty, whilst providing users with valuable, shareable content. Done properly, content marketing can help increase sales too. Not only that, but content marketing is the backbone of some SEO (Search Engine Optimisation) work. Content on websites is indexed by search engine robots and stored to provide relevant results to users when they search. Optimising written content for websites is an essential part of SEO, making sure keywords are included whilst keeping the writing readable, informative and relevant too. The worth of content marketing for users is to engage them, providing them with helpful and relevant information. For businesses, it’s about bringing in website traffic, piquing users’ interests as well as marketing their brand through content. 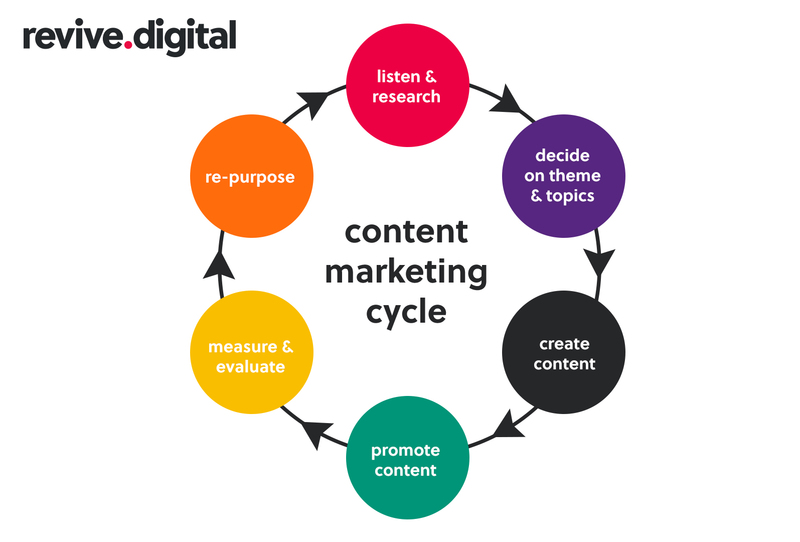 What is the Content Marketing process? The first, and one of the most essential parts of content marketing is to do your homework! By this, we mean that content marketers need to start researching and looking into what users want to know/see. Understanding a business’ audience is essential, but the content needs to be relevant, on trend and informative. Finding out what users want is key, so look at social media, competitors and more to find out what kind of content users are craving to digest. After the research and listening to users, it’s now essential to decide on themes and topics. Of course, these should be based off of your research. Base your themes on what types of article or blogs/video/podcasts/infographics are doing well online, and decide on the topic by looking at trends, popular products/pages on your site and what your users want to see. If you’re creating content for SEO purposes, carry out keyword research and base your content around keywords you want to rank for. Once you’ve planned, now it’s time to create. 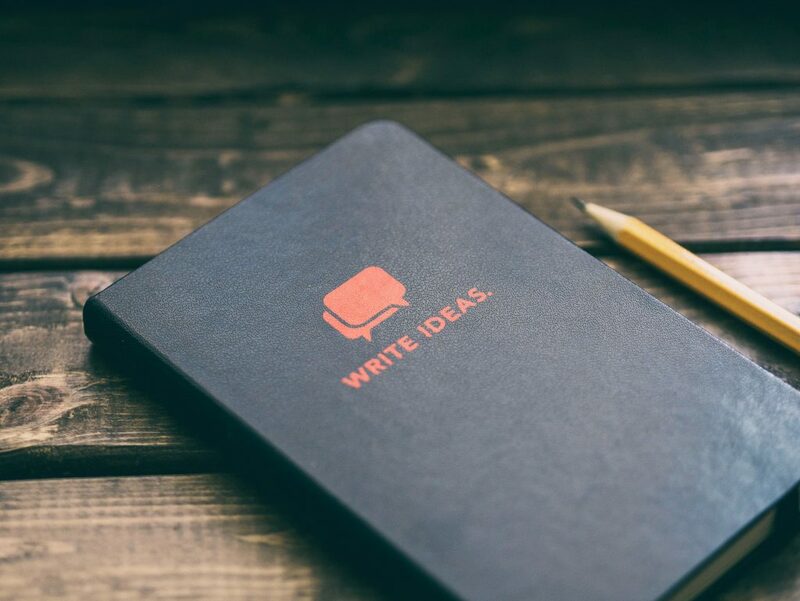 Written Work (Blogs & Articles): research the subject, make it engaging, edit well, make it optimised, make it informative, make it concise and readable. Videos: make it interesting, plan the script and shots, quality picture and sound, edit well, overlay graphics, make it informative, make it shareable. Images (Infographics): design it well, make it informative, make it engaging, make it shareable. Audio (Podcasts): plan the script/podcast content, quality sound, edit well, make it interesting, make it concise. Once you’ve crafted your masterpiece of content, it’s time to promote the h*ll out of it. So, now we’re at the promoting stage. It’s time to scream about your content and show it everywhere you can – don’t overdo it though. Firstly, let’s talk about social media marketing. By posting your content on social media, your following will engage with it. Whether it’s sharing, liking or clicking the link, it will help it get seen. Make sure it goes on every social media platform, so it stands a chance of gaining more traction. If you’re into email marketing, which you should be, you’ll be able to promote your content via your subscriber list. Building content and links into email messages will, again, help bring more traffic and engagement to your post. Content not promoted properly is unsuccessful, as no one will see it. Once you’ve promoted as best you can, now it’s time to measure and evaluate your content’s success. Any digital or content marketer worth their salt will tell you that it’s important to measure & evaluate. Posting and promoting isn’t enough, you need to look at what works and what hasn’t. The only way you’ll find that out, is through analysing. Through website analytics, social media insights, view counts, email data and plug-ins, content marketers can look at the effectiveness of their work. Whether it was viewed, clicked on, shared, commented on, whether a blog was read on a website, whether an email was opened, and if the link clicked on – all of these show a content marketer how well a piece of content has performed. So, you’ve made a good piece of content. And, if it was promoted well, it’s more than likely performed pretty well. But, how do you improve it? You re-purpose. Whether it’s transforming a blog into a video or adding graphics to a blog – by crossing content over, it can add more value to an existing piece. If there are updated facts and figures, add them in! Add more value, add more information, make it more engaging. Content marketing is about improving your existing content. Take something good and make it great. Maybe, if we reexplain its importance for building/consumer user relationships and increasing engagement, the part it plays in SEO work, the power of content bringing in website traffic and that it can lead to sales as well? If you’re still not convinced, then pick up the phone or drop us a message. Our content marketing team are ready to explain the value it can have for your business. Get in touch with us to supply all forms of content you need. Yes, we do blogs, articles, videos, graphics and can even do podcasts for you.